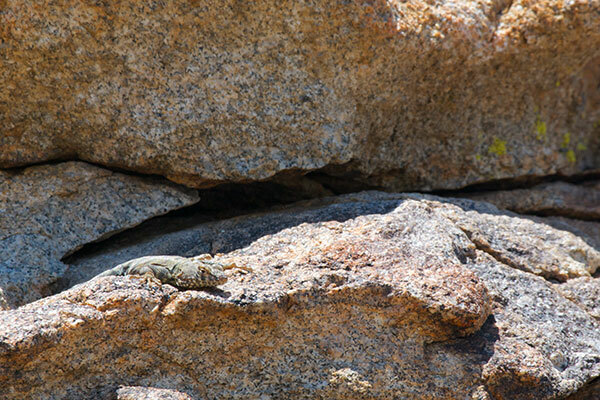 Banded rock lizards' faded colors offer great camouflage against the boulders and rock walls they occupy. 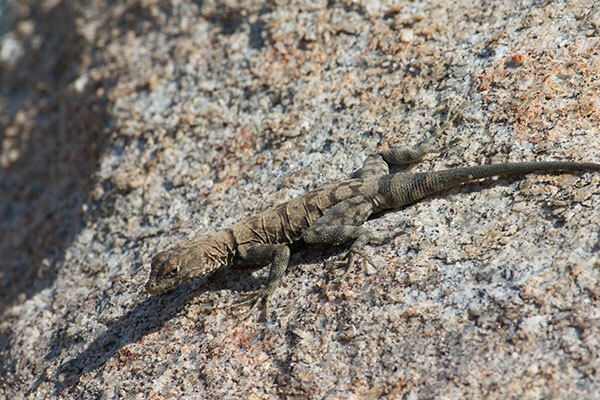 They are exceptional rock climbers, running with equal ease horizontally, vertically, rightside-up, or upside-down. 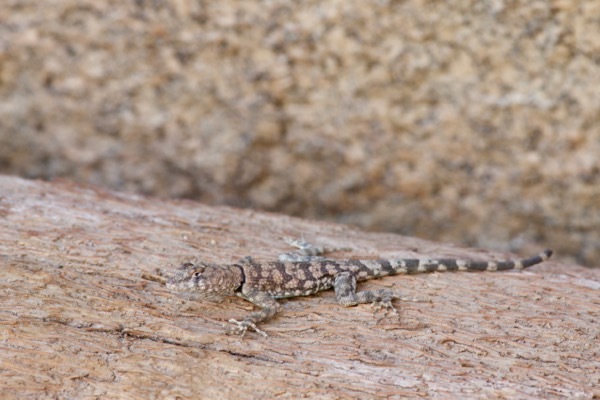 The range of these flat lizards is mostly in Baja California, but extends northward into certain areas of Anza-Borrego and a little bit north of that. 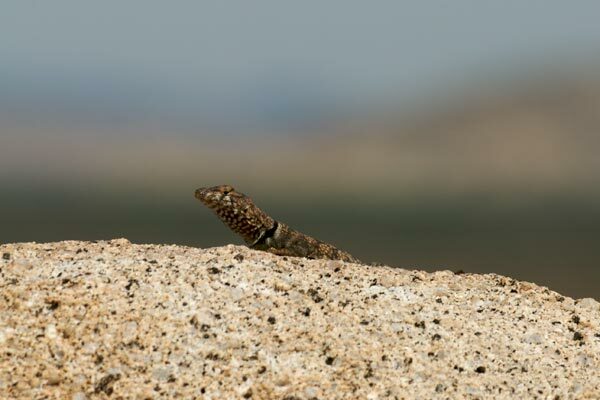 So you have to go pretty far south in California to see one in the United States, and I was happy to see the species again seven years since I was last in this area. 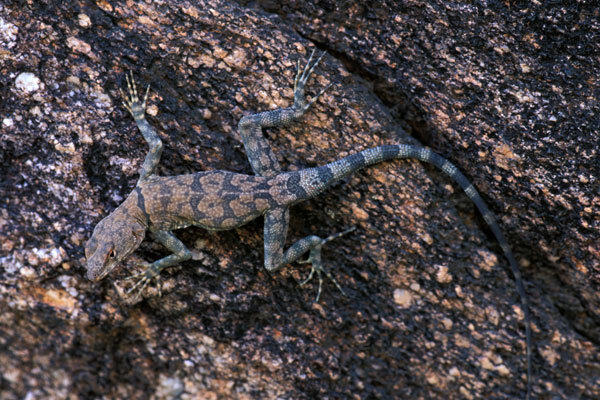 Banded Rock Lizards are always a delight to run across. 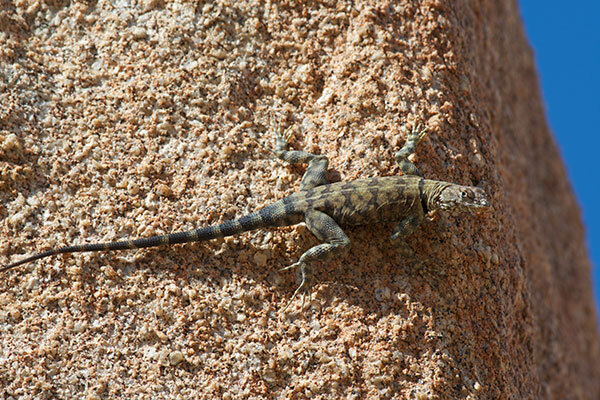 Partly this is because they are found in such a small part of the U.S., partly this is because they are so intricately patterned, and partly this is because they tend not to run very far when they get spooked, so if you have a little patience you can usually get a decent photograph. 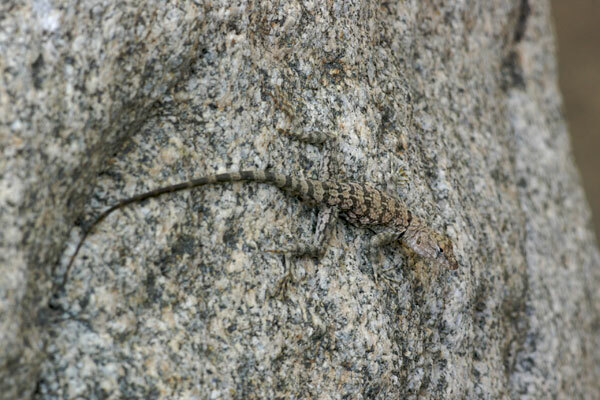 The first one pictured above is a youngster on a boulder right alongside the trail at Borrego Palm Canyon. 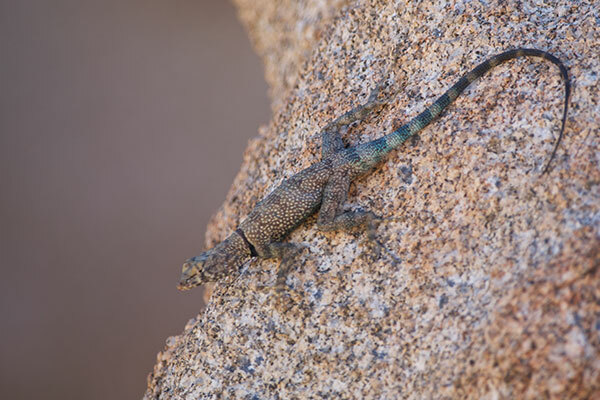 The other three photos are of the same adult that I spent twenty minutes or so with on a fantastic rockpile that caught my eye as I drove down highway S2 looking for likely Baja California Collared Lizard spots. 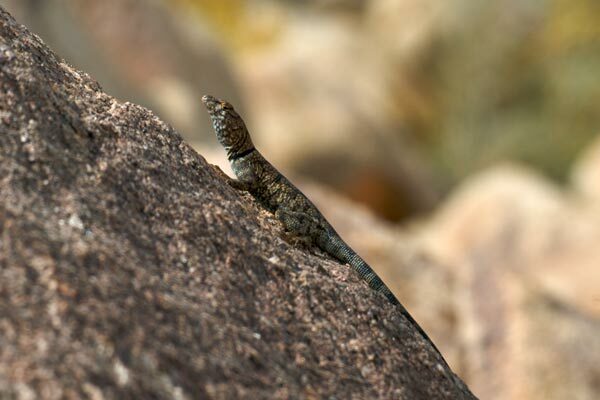 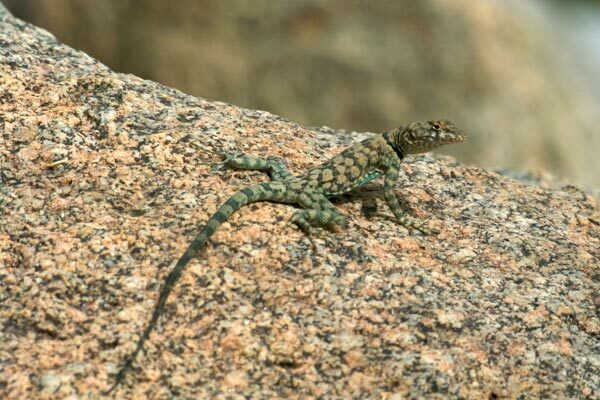 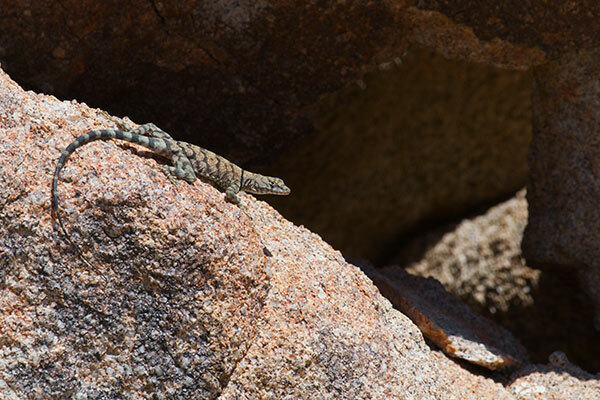 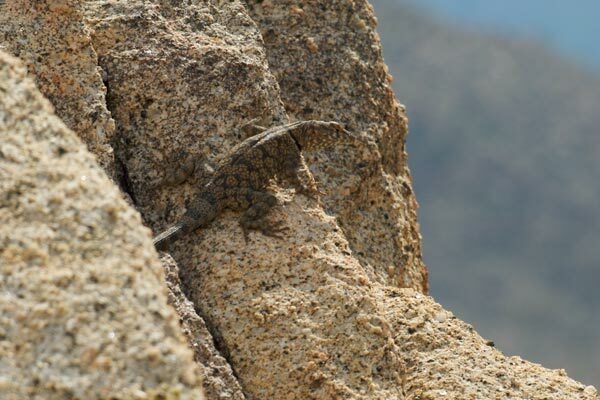 The Mountain Springs area in extreme southern San Diego County is amidst a fantastical landscape of jumbled granite boulders, perfect for rock-climbing lizards like this one. 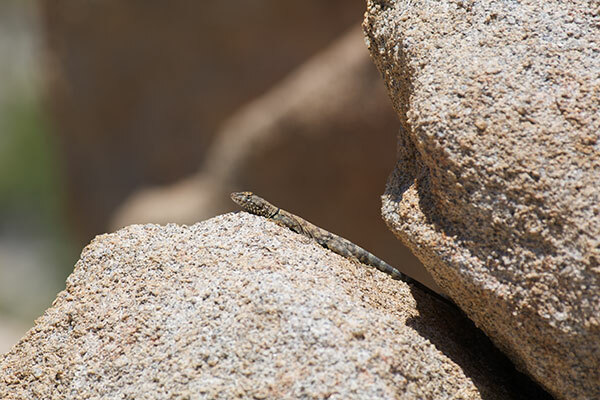 On an overall low-herp-count day, Matt Cage, Lorrie Smith, and I did manage to find a few of these graceful lizards. 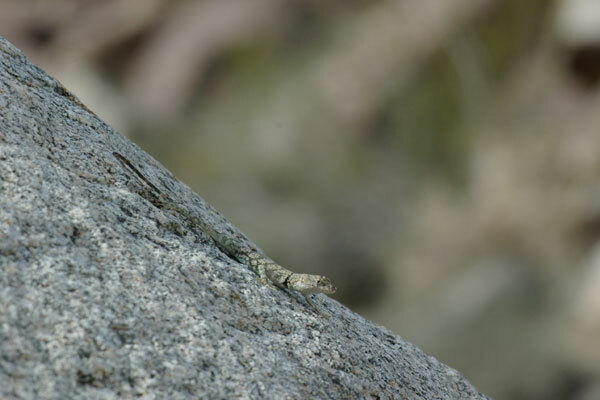 When I returned to the same area a couple of years later, I spent 45 minutes or so trying to sneak up close enough to these lovely lizards to get decent photos. 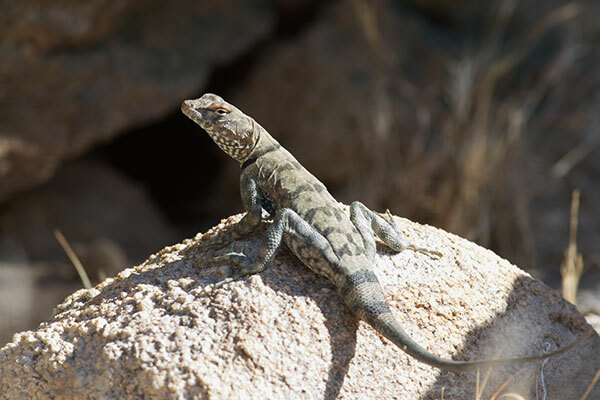 Very few lizards were out in the one afternoon hike I had time for in a quick stopover at Borrego Springs on my way home from Arizona, but you don't need a lot of lizards if you have a beauty like this.